"Acclaimed singer, songwriter, band leader from Ethyl Meatplow and The Geraldine Fibbers. First solo album in seven years, following a string of releases with her Evangelista project. Bozulich’s self-proclaimed “pop record”! 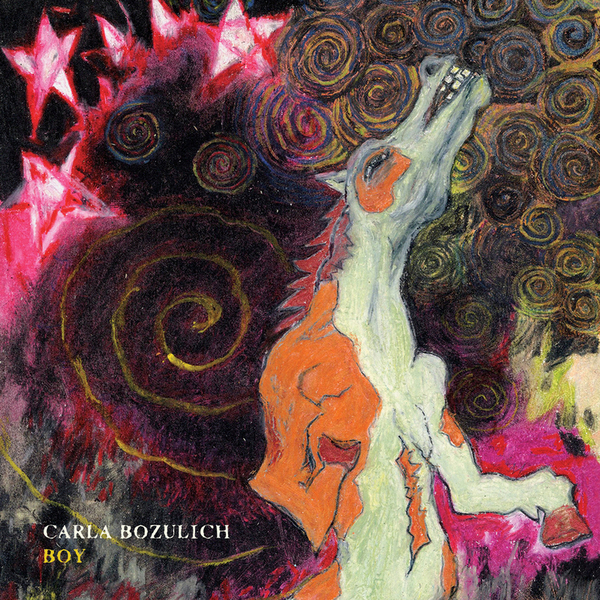 Carla Bozulich, an art-punk heroine with almost three decades of exceptional, iconoclastic musical activity under her belt, returns with the third record of her storied career to be issued in her own name. Boy is Carla's self-proclaimed "pop record" and is a refreshing and much-needed reminder of what pop can mean in the hands of a ferociously commanding singer/lyricist who has cut her teeth on genre-bending, genre–blending, and DIY production for 25 years. Boy is unmistakably a pop-influenced album by way of punk, avant rock and lo/mid-fi; a batch of ten songs that clock in at 3-5 minutes each, mostly hewing to recognizable structures of verse, chorus and bridge, but full of destabilizing accents and strategies. The songs are replete with hooks and melodies, delivered chiefly by the singing itself, with the underlying instrumentation and arrangements always in the service of Carla's voice and lyrics. Boy is without doubt the sharpest, supplest, most satisfying and most generous album that Bozulich has made in recent years, and also happens to be one of her most immediately accessible. It is a definitive expression – and should serve as a welcome reminder – of Bozulich's unique tastes, talents and trajectories."